Use siphon jars when large amount of media are required. Insert securely. Bottle should hang down without falling off. Remove with a gentle rocking motion while holding top of spout. 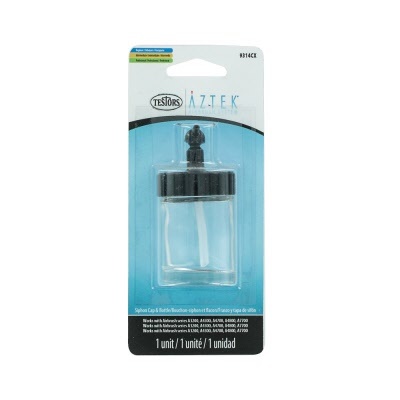 Aztek Siphon Jars can be removed from your airbrush and exchanged while loaded with media. A supply of pre-loaded jars facilitates quick colour changes. Work with all Aztek Intermediate and Advanced airbrushes such as 320, 470 & 480 series.